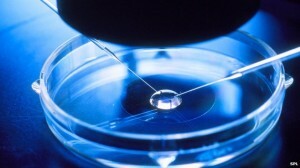 Are you doing something for National Fertility Awareness Week? It starts next week – and there’s still plenty of time to get involved. You can opt for the 5k challenge like me – Infertility Network UK have teamed up with Nuffield Health and they have invited anyone wanting to complete their challenge indoors to come along and use one of their gyms. Free one day membership is available to everyone wanting to participate, just go to their website and sign up for a free day pass – http://www.nuffieldhealth.com/nfaw. What about joining the Cake Bake – you could get together with friends, family or colleagues and bake and share a cake or two together? Or perhaps you could help raise awareness through social media? 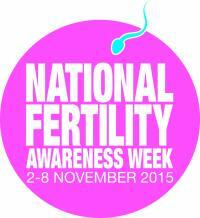 Why not have a look at the National Fertility Awareness Week website, and see all the ways that you can join in. It starts today and aims to raise awareness and get people talking about fertility – are you getting involved in this year’s National Fertility Awareness Week? There are many different ways to get involved, including coming along to the biggest event of the week – The Fertility Show on 1st and 2nd November at London’s Olympia. If you are on Twitter, this year’s hashtag is #nfawuk so please remember to use it whenever you mention the awareness week. 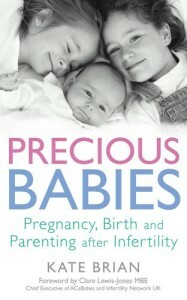 The aim of the week is to get more people talking about fertility issues, to explain the options that exist for people struggling to conceive and to highlight the impact infertility has on people’s lives. You can host an event, bake a cake, get people talking – or you can just make a donation to National Fertility Awareness Week. Whatever you choose to do, thank you for helping to increase awareness – it’s the only way to end the stigma that too often comes along with fertility problems.